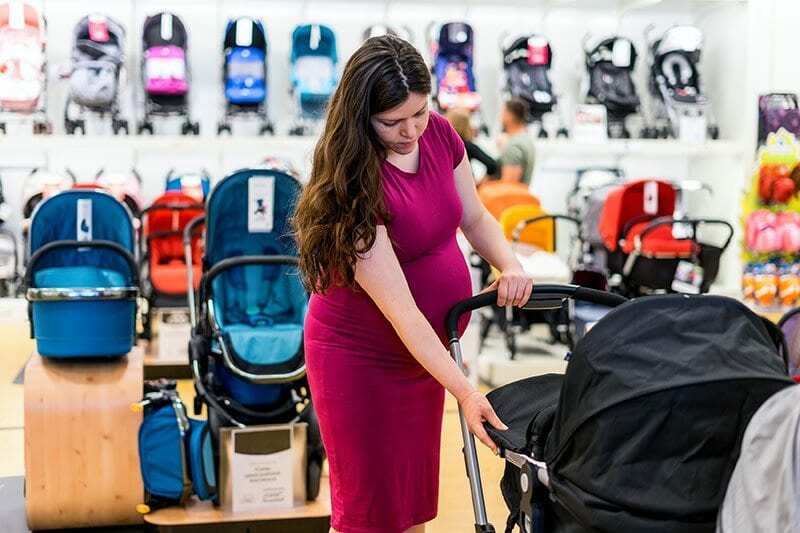 If you have started shopping for a new stroller to use with your infant, growing baby or toddler, you may be astounded by the wide range of models available in stores and online. 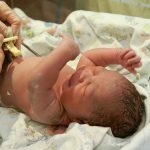 While you understandably may have a shopping budget in mind, you also may be concerned about things like functionality, how comfortable your baby will be in the model you select and more. Focusing your attention on these points can help you to make the best buying decision possible when making this critical decision. Most parents who are shopping for strollers have a specific function in mind. For example, you may plan to use it mostly to run errands, such as at the mall. 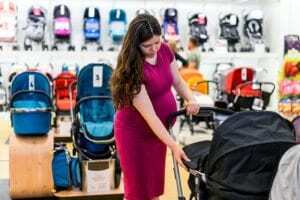 If this is the case, you can probably get away with a simple car-seat stroller frame for younger babies and a lightweight stroller for older ones. Perhaps you plan to take it outdoors frequently and are looking for a model with off-road tires, and thus you’ll need to look for a rugged jogging stroller. You may easily be able to narrow down your available options based on how you intend to use it. Keep in mind that some parents purchase two or more models to accommodate all of their functional needs if they aren’t wanting to bring along a heavy-duty “hiking” stroller when they are going for a walk around the neighborhood sidewalks. The first things you’ll want to consider are where you live (what is the weather like, how are the roads/sidewalks maintained, how crowded is it, etc. ), where you expect to push your stroller (long urban walks, running errands in and out of stores, managing through public transportation, etc.) and how much you want to spend. Also, be sure to keep in mind if you live a suburban or rural car-oriented lifestyle your stroller should be easy to fold and fit in your car. When it comes to the types of strollers available, there are a variety to choose from. Standard strollers come in a variety of different styles and designs and the most simplistic. These styles will almost always have a padded seat and may be able to recline into different positions. Take note that adjustable seats are necessary for newborns and must be able to recline to an almost flat position until they have head control and can sit up on their own. Most have sunshades and storage areas below the seat and some styles may allow for parents to shift the orientation of which the baby faces, either facing forward or looking back at the parents. 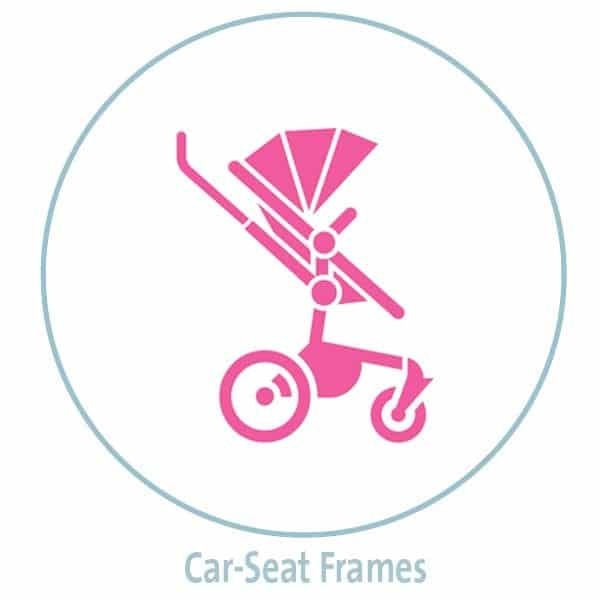 Car-seat stroller frames are often lightweight metal frames designed to carry specific types of removable infant car seats, thus allowing one seat to serve two purposes: You remove the car seat from its base in the car and simply snap it into place on the stroller frame. 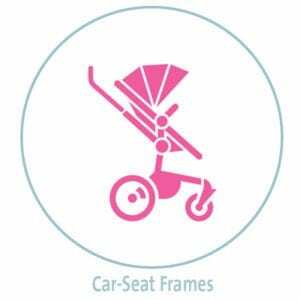 These frames are typically minimal in size and easy to fold up, however, their usage depends on the infant’s ability to fit in the car seat, as once your baby outgrows that, you won’t be able to use the stroller frame anymore. Travel systems are standard or jogging strollers that can also carry an infant car seat. They are typically larger, heavier, and more expensive than a stroller frame. However, their benefit is that you can use them after your baby has outgrown his or her car seat. Sometimes called umbrella strollers, lightweight strollers are just that. Usually weighing around 12 pounds or less, these strollers are designed to fold up compactly. However, they typically provide no-frills. Many times, they may not have much padding and sometimes aren’t very adjustable, thus they tend to be rated only for toddlers or older babies. 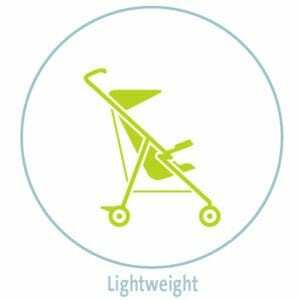 These strollers offer three-wheels on a lightweight frame and are designed for a smooth ride for baby and the one pushing. In an urban environment, these strollers can scale steep hills and navigate over curbs. However, their larger size makes them hard to maneuver up and down stairs, into elevators or through stores and they don’t fold up as compactly as may be needed to fit into a trunk. While many jogging strollers come with the ability to fully recline for infants, others may require the purchase of additional parts to use a jogging stroller safely when your baby is younger than 6-months-old. 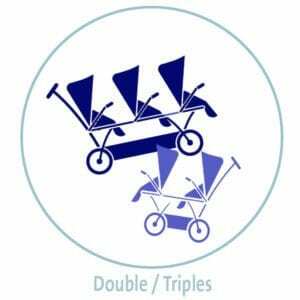 For example, some may require an infant-car-seat adapter or a separate bassinet or “carry cot” designed to fit your particular stroller. 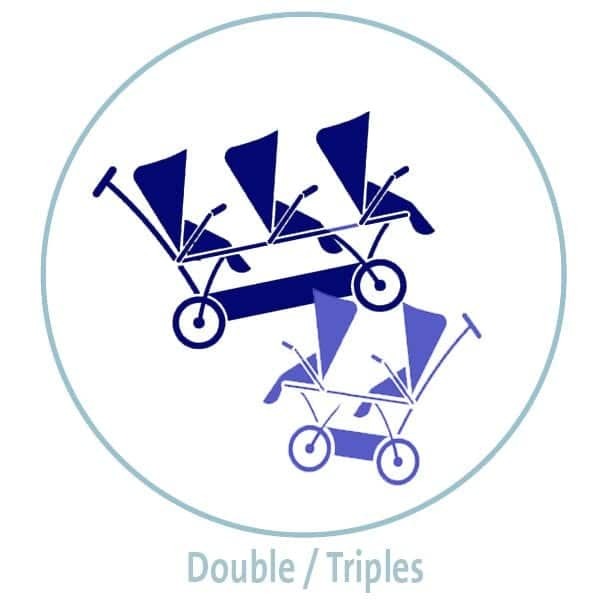 For those parents looking to push more than one child at a time, these styles offer tandem models where one child sits behind the other or a side-by-side option. When you begin comparing models, you will notice that most are rated with age and weight limitations for the baby or toddler. A stroller is a key piece of baby gear typically needed from the very start and until a child is able to walk a distance on his own, typically about age 3 or 4. However, many parents use their strollers until their child is around 6-years-old if they’re walking long distances or going out for a long day. Because of this, it is essential that you take age restrictions into consideration. For example, an umbrella stroller that folds up quickly and easily usually is not rated for newborns. 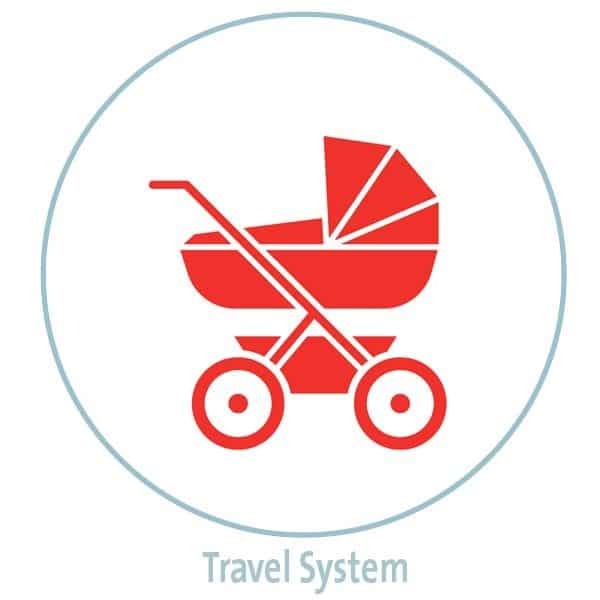 A travel system that has a removable car seat, however, may be rated for newborns through toddlers. These limitations will affect how long you can reasonably use the model you purchase, so pay close attention to these factors. Your child’s comfort level, as well as personal safety, may be affected by these limitations, so do not overlook their importance. A simple traditional stroller can cost as little as $60 USD, while high-end models can reach upwards of $1,300. However, typical stroller costs range from $100 to $300 depending on available features. While you understandably want to find an affordable model that is priced within the budget you have created, take note that some strollers may only be rated from infancy through the first 12 months of life. Others may be rated up to three years of age. You can see that the need to replace this item within the first year of owning it can add on to your total expenses. With this in mind, it may be more cost-effective in the long run to purchase a model that can feasibly be used for several years. Few parents have the space to leave strollers in their full, upright position at all times. Many need to fold this item and store it away in the trunk of a car or in a closet when it is not in use. You may travel frequently, and you may even look for a model that is convenient to bring on a plane. How easily each model folds down as well as the weight of the item and its dimensions when in storage form can affect your convenience and should be carefully analyzed. The safety of your baby or toddler is not a matter to take lightly. The last thing you want to think about is the potential for your baby to be injured while riding around in strollers, but the reality is that this can happen. For example, the model could suddenly collapse and fold down on itself with your baby in it. Perhaps it has a poor design that makes it easy for your baby to pinch his or her fingers, or maybe they can easily slip out of the buckle. These are only a few safety factors to consider. Reading consumer reviews and researching models that are at the top of your list of options can help you to make a better buying decision. Frame edges: Ensuring that no little finger or toes can get caught between metal parts or find any sharp edges. A secure restraint system: The safest system is a 5-point harness that wraps around the waist, between the legs and comes down over the shoulders. Check for a buckle that’s easy to unhook, but secure for the child. Firm locking ability: Make sure a stroller frame firmly locks into position; this will help to prevent accidental collapsing. Brakes: When it comes to locking the stroller’s wheels, the wheels should lock as soon as you engage the break. Consider whether the brakes can be engaged easily in different shoes (sandals, heels, open and closed toe shoes) and also decide if you want brakes that lock both back wheels at once (most desired option), or do so individually. 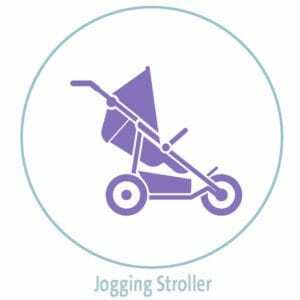 Jogging strollers may have hand-operated brakes as well as foot brakes. Handle height: Handles should be at the pusher’s waist level or slightly below. 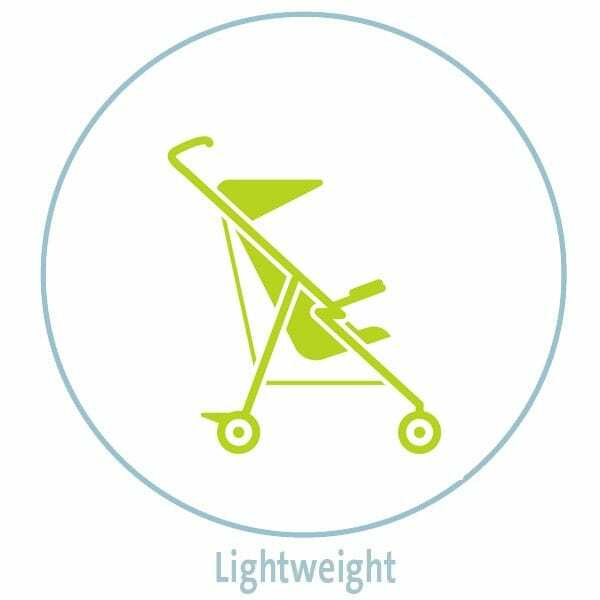 If you don’t fit the standard stroller height, you may want search for one with adjustable or higher handles. You can also buy stroller handle extenders. Shade shields: An adjustable canopy will protect your child from the sun, rain and wind and can make rides more comfortable. Canopies made of fabric tend to offer better UV protection and are best for sunny walks. 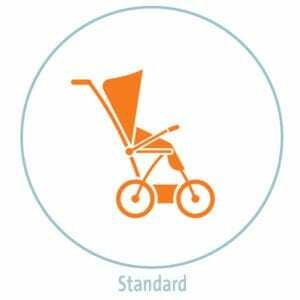 Also be sure to find a stroller that has been certified by the Juvenile Products Manufacturers Association (JPMA) to ensure it meets current safety standards, and check for any recalls [check baby product recalls] that may be out on products.